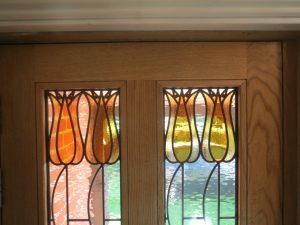 Two tulip inspired panels styled on Baillie Scott stained glass, Surrey. 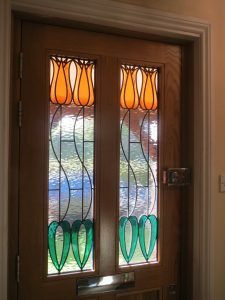 This is the second project I have made for this customer and as they are real fans of the style of Mackay Hugh Baillie Scott (1865-1945) who was an architect and artist, they asked me to make these front door panels for them. 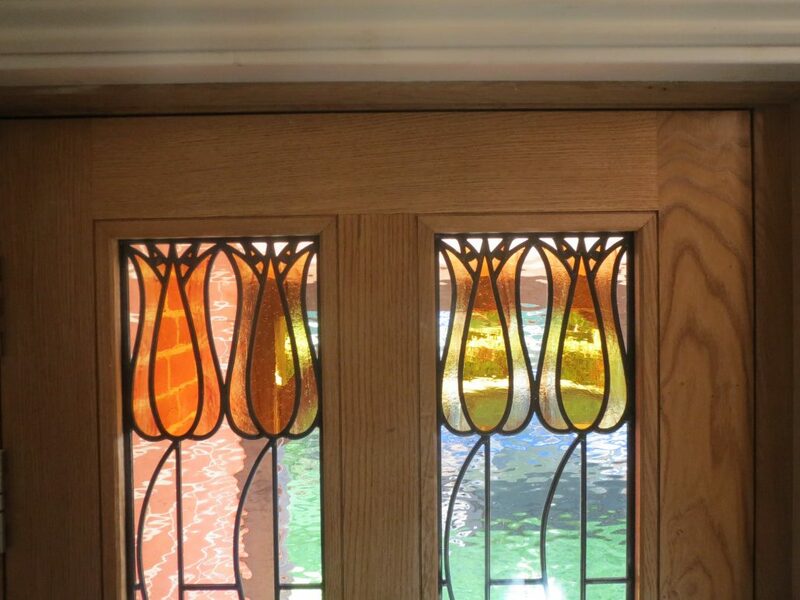 They are mostly constructed using obscured glass but the amber is a beautiful mouth blown glass. The contrast of the glasses catch the light wonderfully. 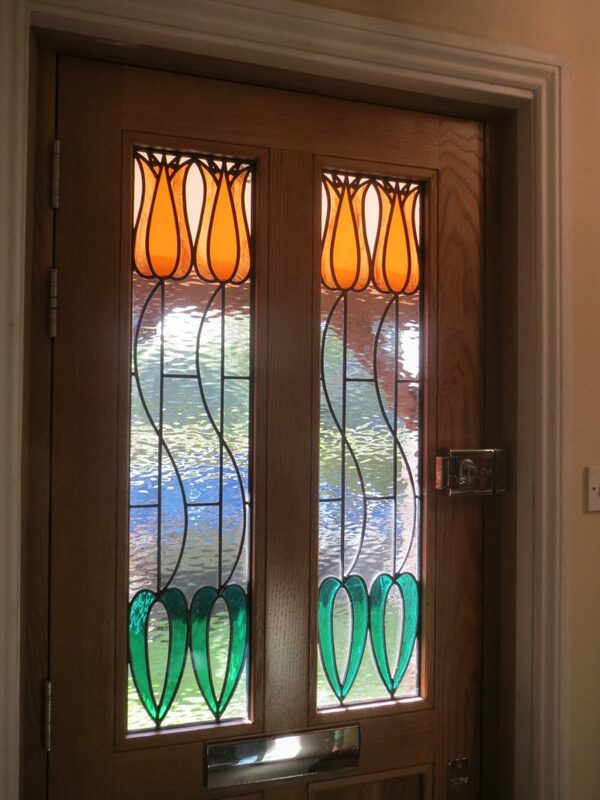 These are encapsulated into sealed units to comply with the latest building regulations.